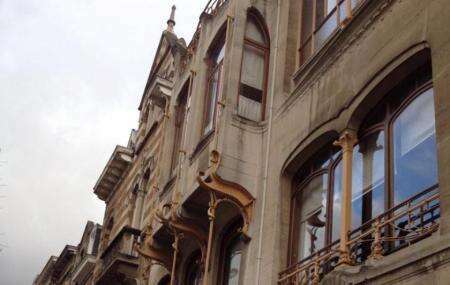 Victor Horta was an Art Nouveau architect, and this building, completed in 1901, was his home. From the outside it does not look like much. But when you go inside even if you discarded all the artifacts from his life, it would be worth going in just to see the house. It is one of the most startling examples of interior decorations you will ever see. Everything inside is a beautiful mahogany and American ash color. The stained glass window at the top of the house is beautiful. The floor is covered in mosaic. The furniture looks like something out of Disney movies. The stairway banister has some incredible metal work. And when you're done gawking at the rest of the house you can actually check out some of the architects own work. For example there are miniature models of the buildings he built. Also, visit the popular attractions in the city by following Brussels itinerary 3 days. Guided tours have to be booked 1 week in advance. Check out the book shop. Private guided tours of 50 year old during weekdays and 60 Euros during weekends excluding admission price. Last entry at 5:15 p.m. Guided tours from 9 a.m. to 12 p.m. and 2 p.m. to 4:30 p.m.
You can organize private visit after hours. How popular is Horta Museum? People normally club together Mont Des Arts and Theatre Royal De Toone while planning their visit to Horta Museum.